Spring is in the air, maybe not the temps yet! Buds are sprouting to soon be in bloom. My peonies and daffodils are are popping out of the ground. I'm so ready to pull out the spring clothes just as soon as temps cooperate! Last week I co-hosted the Swing Into Spring Week. Today I'd like to share my top picks from the projects linked up from Spring Wreaths and Porches. 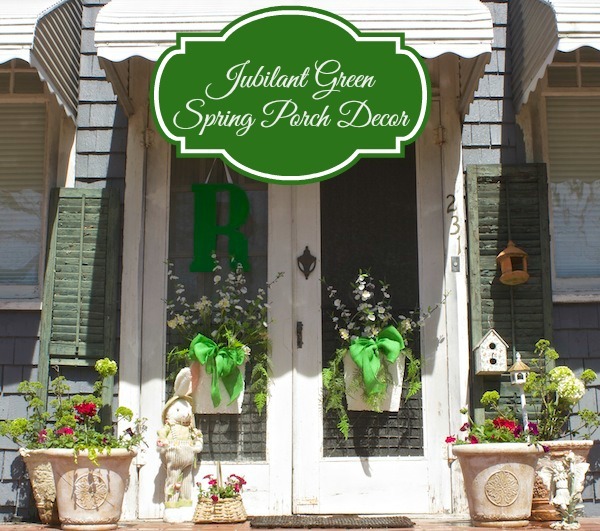 I hope you are inspired to decorate for spring!!! My co-hosts and I shared the following. I shared my Bunny Embroidery Hoop Wreath. 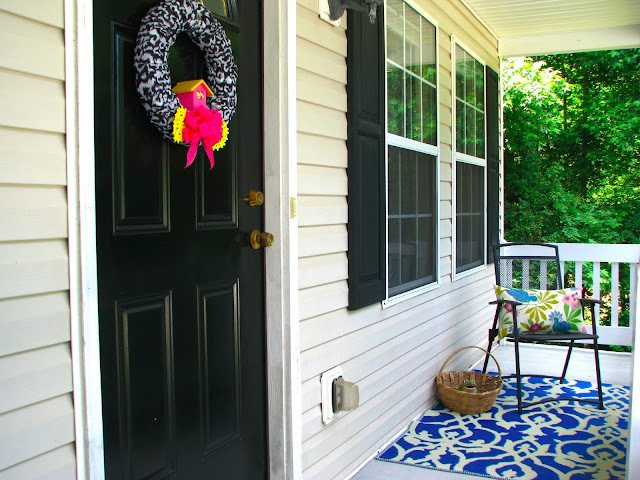 Barb from The Everyday Home shared her beautiful spring porch full of color! 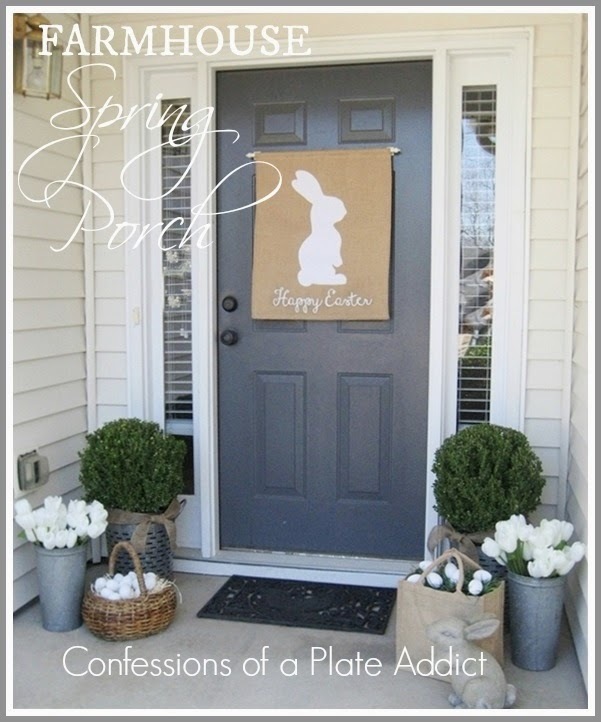 Debbie from Confessions of a Plate Addict also shared her lovely neutral porch. Gorgeous!!! Now onto my favorites from last week! To visit any of the projects just click the link to see more! Kathy from A Delightsome Life had me at the green touches. You know green is my favorite color! I like my wreaths to be simple to make with a “Wow” factor! Loving this one from Christy over at Confessions of a Serial DIYer. This is the after! Visit HomeMadeville to get the scoop on creating awesome curb appeal for potential home buyers! 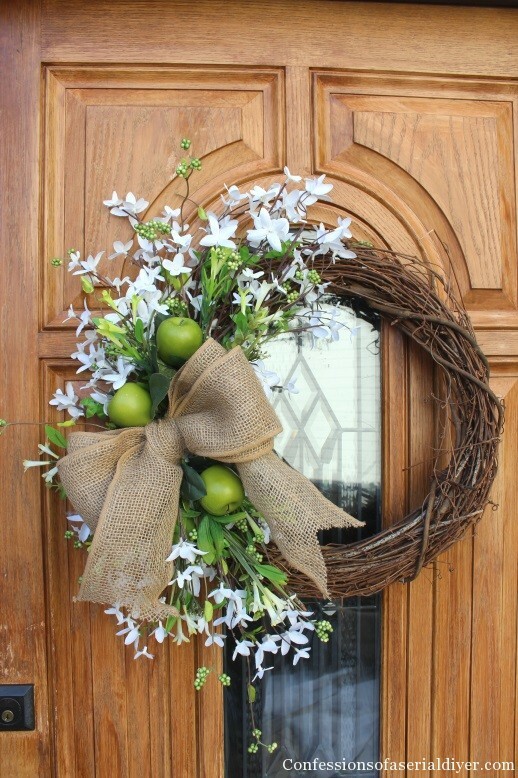 Wonderful example of a beautiful, simple basket wreath from Hymns and Verses. I love the bright use of fun colors that Therese from Fresh Idea Studio uses! Fun touches and attention to detail from All in Good Twine! Love that door mat! Wreaths don't have to be round! Loving the creative use of this old shutter as a wreath from Create & Babble. One of my favorites!!! 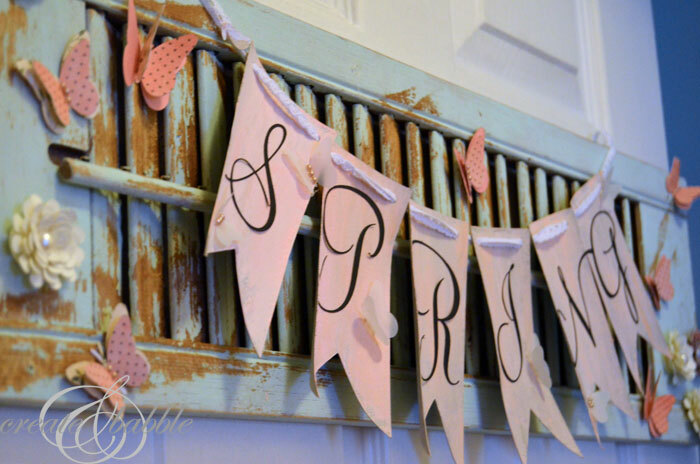 I really love how ribbon was used the cut out the bunting for the spring letters!!! Thanks for the inspiration Zu Haus at Home. Let's not forget that wreaths can go inside! This is adorable from At Home with the Barkers. The creativity with this wreath from Home is Where the Boat Is is just stunning! Thanks so much to everyone that linked up! You all are so talented!!! Enjoy visiting the features and happy pinning! To see all that linked up go HERE.